When the Industrial Internet Consortium was formed by AT&T, Cisco, General Electric, IBM and Intel, IoT was not void of enterprises using machine to machine communication. The issue was what standards should apply, and when to use those standards. Right from the outset XMPP was being used by Cisco and IBM, while Eurotech had been advocates for MQTT. • building confidence around new and innovative approaches to security. However, the goal of the IIC is not to make new standards, but to establish the use cases for best practices which in effect allow the market decide what standards matter. 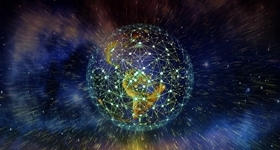 Since the initial five members of the Industrial Internet Consortium started their collaboration, the group has grown to a membership of more than 200 companies from 25 countries. Withmore than 200 companies in the consortium and several that are still not part of the team, how do I choose the members of The Hot List? For our criteria let’s look at the test beds for some guidance. Presently there are 22 test beds, and they involve 104 different work efforts by 72 companies. While I have a tendency to think of the factory floor as what we mean by industrial, when it comes to the IIC participants, a lot of testing has to do with outside assets. Farming, oil and gas, and water management are among the focus areas of these efforts. The two most popular test beds have to do with security evaluation and time-sensitive networking. Independent of the test beds, which are demonstrating practical IIOT implementations, comes the guidance of the Steering Committee with representation from Schneider Electric (John Tuccillo,chairman), ABB (Eric Harper), Bosch Software Innovations (Dirk Slama), Dell EMC (Said Tabet), Fujitsu (Dr. Jacques Durand), GE (Peter Marx), IBM (Don O’Toole) , Huawei (Wang Xuemin), Intel (Sven Schrecker),MITRE Corp. (Dr. Robert Martin), Real Time Innovations (Dr. Stan Schneider), SAP (Dr. TanjaRueckert), and of course Richard Soley,executive director. In addition, the working committees have focused on the Industrial Internet Reference Architecture (http://www.iiconsortium.org/IIRA.htm) and the Industrial Internet Security Framework (http://www.iiconsortium.org/IISF.htm). I do not wish to indicate that the Industrial Internet Consortium is the only group of people leading the way inIoT’s implementation. It is, however, the best place to find common ground and see how the future is most likely to be implemented. Companies often tell me they want to focus on specific verticals. But often I get the impression they are in need of a better channel partners. 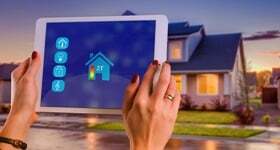 It’s not that their platform is designed for those verticals, (after all, that is the problem IoT is trying to solve); instead the issue is that customers have not connected the dots that IoT works for their industry. I believe that customers need to be met where they have the problem. I see a flaw with that strategy when it forces customization that loses the value of the common core. Recently I had a conversation with the team at IFS World, an international leader in software development for complex systems and a Microsoft Azure partner. They talked to me about several Industrial IoT implementations they had with larger customers. While their software core is common, it often takes the customer and a systems integrator familiar with the particulars of the industry to match the capabilities to the requirements. In all these cases, the problem was just a stepping stone to something transformative. The bigger opportunity was not in solving the immediate need but rethinking the services being offered by the company in the future. I believe we are going to cross a chasm in product marketing in which service models will be based on the unit of sales as opposed to, well, things. Perhaps, one day we will need to rename the magazine the Internet of Services. 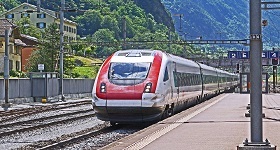 ABBconnects customers to the power of the Industrial Internet of Things and, through its services and expertise, goes further by turning data insights into the direct action that generates customer value in the physical world. ABB offerings are designed to work across industries. These digitally enabled industry solutions are fine-tuned based on years of sector and customer insights. The Bosch Group is a leading global supplier of technology and services. Its operations are divided into four business sectors: Mobility Solutions, Industrial Technology, Consumer Goods, and Energy and Building Technology. As a leading IoT company, Bosch offers innovative solutions for smart homes, smart cities, connected mobility, and connected industry. It uses its expertise in sensor technology, software, and services, as well as its own IoT cloud, to offer its customers connected, cross-domain solutions from a single source. Bsquare has helped its customers extract business value from a broad array of physical assets by making them intelligent, connecting them, and using the data they generate to optimize business processes. BsquareDataV software solutions can be deployed by a wide variety of enterprises to create business-focused Internet of Things systems that more effectively monitor device data, automate processes, predict events, and produce better business outcomes. Bsquare goes a step further by coupling its purpose-built DataV software with comprehensive analytic and engineering services that help all types of organizations make IoT a business reality. Ciscoprovides a solid foundation for digital transformation. It brings software, processes, and systems together in a digital-ready infrastructure that is simple, intelligent, automated, and highly secure. GE Digital is reimagining how industrial companies, including many GE companies, operate plants and deliver products – using data as the fuel and advanced analytics as the growth engine. It embraces the vision of the Industrial Internet and the promise of driving disruptive, positive changes across the industrial landscape. IFS develops and delivers enterprise software for customers around the world that manufacture and distribute goods, maintain assets, and manage service-focused operations. It offers applications that enable companies to respond quickly to market changes and use resources in a more agile way to achieve better business performance and competitive advantages. IFS’s products are known for being user friendly, modular in their design, and flexible enough to support the customers in their way of working according to their established processes. Infosys is a global leader in technology, services, and consulting. It enables clients in more than 45 countries to create and execute strategies for their digital transformation. From engineering to application development, knowledge management and business process management, it helps clients find the right problems to solve, and to solve these effectively. Libeliumfacilitates the development of IoT solutions to ease IoT adoption. It helps withintegratingeverythingfrom sensors to connectivity and provides access to any cloud platform. Its one-stop click-and-buy-store offers 60 IoT kits, has involved 41 partners, and provides solutions for nine vertical markets. That includes agriculture, air quality, buildings,cities, e-health, environment, factory, parking, and water. National Instrumentshas made it possible for engineers and scientists to solve the world’s greatest engineering challenges with powerful platform-based systems that accelerate productivity and drive rapid innovation. Customers from a wide variety of industries – from healthcare to automotive and from consumer electronics to particle physics – use NI’s integrated hardware and software platform to improve the world in which we live. Billions of sensors, machines, and devices already exist in industrial infrastructure but are currently unable to connect to the IIoT. This legacy equipment holds valuable untapped data needed to improve business processes and decisions in almost every enterprise and every industry. 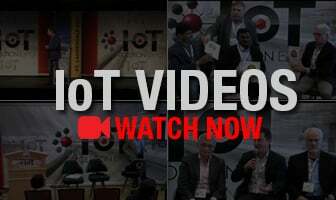 Opto22’s platform enables developers to rapidly design, prototype, and deploy applications to connect existing assets to the IIoT and share their data, capabilities, and resources with other connected systems and assets. PTC works with industrial manufacturing companies to develop, manufacture, and service some of the most complex and long-lasting products on Earth. That brings unprecedented value to customers by accelerating product development and managing a wealth of product data in PTC PLM. Connext DDS from Real Time Innovationsis network communications middleware that works on any system, on any device, and with massive amounts of data to support the real-time needs of the Industrial IoT. This software primarily uses a publish-subscribe communication pattern with a data-centric approach. This means that instead of sending messages, devices actually send (publish) current data states through the network, along with all the information necessary to understand that data state. Devices with Connext DDS software can choose to receive (subscribe to) only the data they need, when they need it. SAPreduces maintenance cost, increases asset availability, improvess customer satisfaction, generates new service revenue, and changes to a usage-based business model with the Internet of Things and SAP Predictive Maintenance and Service. Powered by SAP HANA in-memory technology, the solution analyzes large volumes of sensor data (such as temperature, vibration, or rotation speed) and issues an alert long before a machine breaks down. Combine sensor data with business information in CRM, ERP, and enterprise asset management systems and move from reactive to predictive maintenance and service. Schneider Electricdelivers cutting-edge solutions that can deliver real value to improve business. Innovation At Every Level is the company’s promise —delivered through its EcoStruxure IoT-enabled, open, and interoperable system architecture and platform for plants and machines. Telit is a leader in Internet of Things enablement. It offersa broad portfolio of integrated products, platforms and services to support and enable IoT deployments from things to apps. Its portfolio of modules addresses all cellular communication technologies, GNSS, and short-to-long range wireless applications. 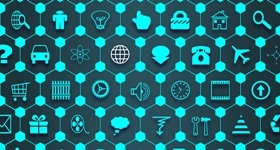 Its IoT connectivity plans and IoT platform services help reduce the risks, time to market, complexity, and costs associated with deploying and providing IoT services across industries and vertical markets worldwide. In total there are now more than 100 startups in theIoT market place, and more than 200 members of IIC. And the numbers keep growing. While several long-standing companies are either acquiring or becoming acquisition targets, the promise of transforming industries suggests the opportunities are just beginning.